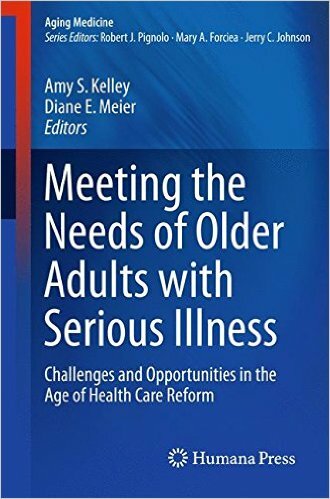 Meeting the Needs of Older Adults with Serious Illness provides an introduction to the principles of palliative care; describes current models of delivering palliative care across care settings; and examines opportunities in the setting of health care policy reform for palliative care to improve outcomes for patients, families, and health care organizations. This book is a roadmap for effective policy and program design. It brings together expert clinicians, researchers, and policy leaders who address key areas where real-world policy options to improve access to quality palliative care could have a substantial role in improving value.